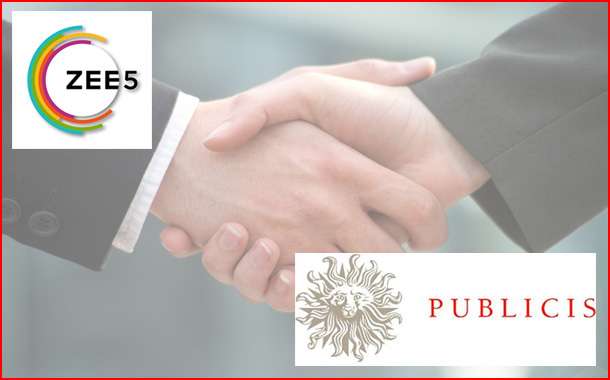 Mumbai : ZEE5, the digital entertainment platform from Zee Entertainment Enterprises Ltd. (ZEEL), has partnered with PublicisCapital to help drive its global strategy. One month into its soft launch in 190+ countries, ZEE5 has moved into overdrive with entrusting Publicis Capital with the mandate of driving its international communications, creative campaigns and digital initiatives. The brand will be handled by the agency’s Mumbai office. ZEE5 offers the largest width and depth of multi-genre and multi -language content across 12 languages – English, Tamil, Hindi, Malayalam, Telugu, Kannada, Marathi, Bengali, Oriya, Bhojpuri, Gujarati and Punjabi. Available across platforms, ZEE5 comes packed with 100,000 hours of On Demand content, including Indian Movies and TV Shows, Music, Cine-plays and Health and Lifestyle videos along with a slew of exclusive Originals, across 12 languages. It also has an extensive Live TV offering with 60+ popular Live TV channels.